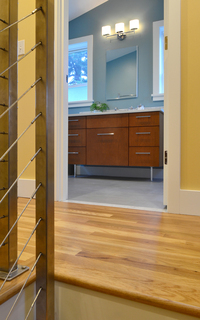 Jackson Design Build - Designing and Building comfortable, healthy, efficient renovations in Seattle since 1999. We specialize in Seattle's vintage homes, working mostly on houses built between 1900 and 1940. We are based in Ballard, and serve homes within Seattle city limits. Our main service area encompasses Ballard, Phinney Ridge, Queen Anne, Wallingford, Magnolia, Green Lake, Ravenna, Crown Hill, Wedgwood, Broadview, and surrounding neighborhoods. We pride ourselves on quality workmanship, clear communication, exceptional customer service, beautiful design, and creative solutions to maximize the value that our clients receive for their remodeling investment. We love doing kitchen and bathroom remodels, as well as additions, second stories, finishing a basement, whole house remodel projects, and any type of smaller project. The Jacksons saved our basement! We got an initial quote for our project from them about 1 year earlier and, honestly, choked at the price and thought we could get someone else to do it for less. Long story short, the contractor we hired gave us a favorably low quote (on which we based a cash-out refinance), but after months of discussions, he finally said he couldn't do the job for that price, leaving us with a stripped-out, useless basement. At that point I called Jackson remodeling in a very contrite panic. They worked with our restrictive budget, doing the "heavy lifting" as Erik describes it, and leaving most of the finish work for us to complete as agreed. They fast-tracked our project. Their carpenters were willing to try new techniques and materials I suggested. As with most remodeling projects, we had some surprises, which were resolved easily since we maintained clear, open communication through the job. I appreciated their commitment to "green" construction practices; they willingly used salvaged and low-VOC materials as well as recycling most of the debris. Everyone at JRL was very professional. They worked with us and respected and respectful "partners" on our project. They respected our privacy and schedules. They made sure the work was left neat at the end of each day. We will use them again if we have any new projects, and have recommended them to friends. The design/build concept is a departure from the "old" way of doing things - hiring an architect to draw the plans, then putting the plans out for bid and hope that contractors can build it for something close to your budget. Some clients even expect a budget before design work has been done! How could anybody estimate the cost of a kitchen or bathroom remodel before cabinets and finishes have been selected? Design/Build remodeling is one-stop shopping for design and construction. You work with us for the entire project, from concept to completion. We provide "real-world" pricing information, timely feedback on the budget effect of decisions you make, and help you design your project to get the most "bang for your buck". Let us show you how green remodeling is the gift that keeps on giving, month after month, year after year. 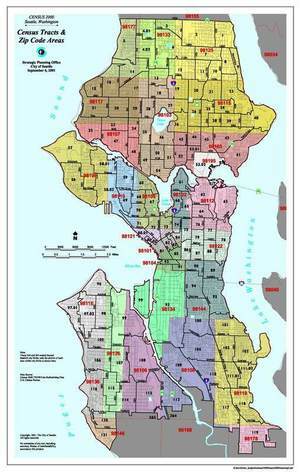 Our service area includes parts of Seattle north of downtown and west of I-5. We pride ourselves on exceptional service and minimizing our environmental impact - that is why we limit our work area to include parts of Seattle near our Ballard office and shop. Besides Queen Anne and Ballard, we work in Phinney Ridge, Wallingford, Fremont, Magnolia, Green Lake, Crown Hill, Loyal Heights, Broadview, Sunset Hill, and surrounding neighborhoods. We can sometimes fit in smaller projects. Give us a call! Sorry, we do not work on condominiums or townhomes.